I have read articles about the realities and limitations of truly grading color accurately with diamond master stones and CZ sets, the many variables that can affect the color you are seeing. I know there are many personal opinions and preferences about this. Without falling too deeply into this discussion, it does seem that building at least a 3 stone diamond set to start and having some CZ sets for comparison would be very useful. I wish my CZ master set was more respected. Everyone seems to have decided that CZ's can fade or darken, though I have never seen a scientific article proving this (anybody?). I bought mine 4 years ago and have checked them twice with AGS master diamonds and they are correct. 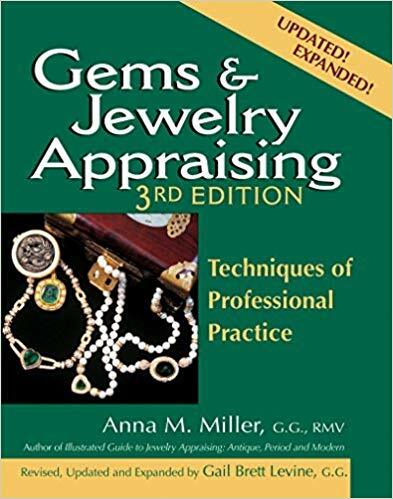 When I worked for a fancy chain in Florida they equipped all the appraisers with CZ sets, as it was too dangerous for us to carry diamond sets around Orlando (the appraisers went to different stores each day). People say they do not have the same reflectivity etc. as diamond but how well does a 0.30 carat round brilliant represent the color of a larger emerald cut, princess, marquise...? There is also the advantage with CZ's of having larger stones and a larger set, six or seven stones, extending down to "K" or so. I worked one place where the boss said "get those CZ masters out of here" His lowest color master was "I" and the stone I was valuing was around a L/M. I wa more comfortable with some reference rather than guessing. If we were to get really obsesive we would require all gemologists to have a marquise-cut diamond set, an emerald cut set, a princess-cut set, etc. The scary thing is appraisers without any reference stones at all, CZ or diamond, and they are out there. (Sort of long, sorry). I use CZ master stones and I know plenty of other appraisers on this forum who use them also. It's important to get master stones that are large enough to be able to see their color when grading. It's important to get master stones that are large enough to be able to see their color when grading. I work with a store that invested in 5 diamond masters all between .30-.35 carat. They are too small to be good for much of anything, unless you are grading 1 or 2 grainers. I like diamonds way better than CZ's but even if they were just as good, perception is important. It is a huge competitive advantage when people call you on the phone or you’re courting a new dealer client and they ask if you have diamond masters. I suspect every appraiser here has been asked this question. It’s a requirement for AGS ‘certified gem lab’ status if any of you are aiming for that. 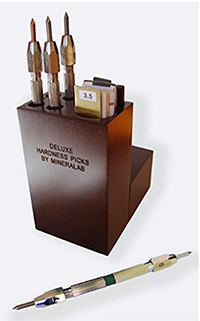 Beyond the marketing and gemological advantages, diamond masters are a pretty good investment and, if you are associated with a decent store you can build your own set fairly easily and without wasting a bunch of money. 1)	Pick a size that suits you. I like about 0.80cts because they’re big enough to be useful but it’s before you get really hammered on the prices. That’s also a real saleable size if you decide you want your money back. Think of it as a contribution to your pension fund. It’s even pre-tax since it’s a valid business expense. Use your skills to shop well and make sure that they know this is a personal purchase and you expect their best possible deal. Tell your vendor what you’re doing and memo in your first stone. What you want is a VS2, G, excellent or ideal cut, no fluorescence, faceted girdle. Examine it to make sure that you have nothing visible from the pavilion side. Expect the process to take at least a month so make sure your vendor is ok with the plan since that's a fairly long memo. 2)	Send it to GIA and get it graded as stone #1 in a master set (it costs $60). Tell them that you don’t want a split grade so it has to be rock solid G or nothing. Rejects cost $15. If it fails, return the memo, if it passes, ship it to AGS for the same treatment ($75 or $16 depending on if it passes). If it passes, have the girdle etched ($16) and buy it. You’ve spent about $200 plus the cost of the stone. That’s darned close to the easiest stone on the planet to sell by the way. 3)	Next buy an I using the same system. 4)	Then buy a K. As the colors get lower, the budget gets less painful but the stones get harder to find. VS2, rock solid K, no flo, ideal cut, faceted girdle is actually a pretty difficult call. 5)	You’ve now spent about $7000 towards your long term savings and about $800 in the stupid fees from GIA and AGS (you’ll have a few flunk no matter how hard you try. This is the frustrating part of the process) and you’ve got a double certified diamond master set. Probably the only one in your whole state. How’s that as an answer when people ask you what you have? The K may be a touch hard to unload if you decide you have to but it was the cheapest stone and, as a ‘master’ it may actually be worth a fair amount more because other appraisers have the same problem as you. 6)	Fill in the H.
7)	Buy the E. This is the biggest budget item which is why it’s the last stone in the ‘5 stone’ set. By now you’re an old hand and they will start to look like an asset instead of a liability. It’s a lot easier to gird yourself to buying these things. Buy an F, J, and an L.
At current prices, a 5 stone double certified set of 3 grainers will run you about $14k this way. You’ve got 4 incredibly saleable stones and 1 marginal one (the K). You’ve wasted about $1000 in BS fees which you get back if your resale value of the diamonds appreciate even 10%. Last edited by neil on Sun Sep 10, 2006 9:10 am, edited 1 time in total. Sounds like a plan, Neil ... now, where can one find a Z in order to be able to classify a Fancy?? That, my friend, is like finding the holy grail. You can't even find a CZ for that. Even when you do find something, what do you want for shape? Fancy's are graded face up while 'colorless' is graded face down. Everything below about a T is cut to maximize face up color in the hope of selling it as a fancy so 'ideal' loses all of it's meaning. An 0.80, VS2/Z, no flo, ideal RBC is a completely impossible stone. As you get into the lower color hue becomes a bigger deal as well. A brownish Q looks way different from a pinkish or silver Q.
I know this is an older post but it seems to be one that is of interest to a lot of people so I hope I'm not out of line starting it back up. I want to invest in one of the CZ sets while my diamond dealer helps me start putting together a master set in much the way Neil described in his post. My question is if there is a difference between the two brands I see of the CZ sets, the Gem Oro and the Ellin. The Ellin are more expensive and they say they are graded to be in the lower half of the color grade and have a lifetime warranty against color fade. The Ellin's would be worth the extra money if they are really better. I was wondering if anyone had a chance to examine both. Hi there. In my experience with purchasing a CZ master set, I found the Gem Oro set completely far off the mark and had to return it, received a second Gem Oro set that didn't work out either. I spent a little more and got the Ellin's- they looked perfect! Phosphor...I am glad you pulled up this old post. In the near future I plan to follow Neil's advice and start building my own diamond master set! Thank you, Katy B. My gut was telling me that and I'm glad you backed it up. I haven't been called on to do any color grading yet when the master stones weren't being furnished, but that will change within a year and I know it will take me that long to put a diamond master set together. This may not be the best place to introduce myself but I've been following this thread for sometime. Also being an administrator on another board, (not jewelry related) I realize that some moderators frown on responding to older threads, so I'll apologize in advance to the board if the feeling is the same here, but as Phosphor_Essence mentioned this is a topic that seems to interest many people. I spent last week in a GIA Diamond Grading Lab and was fortunate enough to spend a great deal of time with one of GIA's leading instructors. This gentleman teaches all over the world and we spent some time talking about CZ Masterstones. The subject came up when he was telling me about a cutter that he knew over in Sri Lanka. This instructor was getting ready to take a trip over there to teach the new GIA cut grade system, and this cutter whom he had known for many years had asked him if he would bring him a set of CZ Masterstones. He told me that the first problem he had, was that as Phosphor_Essence mentioned, the stones only claim to be in the first half of the color grade and not at the beginning. That being the case, even if the stone did fall as the manufacturer states, you stand the chance of always being off by at least one color grade. Although there are split grade "real" master stones, you know exactly where those lie. With these, you're not sure. The bigger issue came in when he purchased the stones and then took them back to GIA to compare to their master stones before he took them to Sri Lanka to give to his friend. In his words they were "way off" and "no where near" the GIA master stones. I understand the need for some people to use CZs. I will say however that when I took my GIA Diamond Grading Lab, we were taught by an awesome set of instructors who taught us how to estimate color grade. By the end of the class most of us, including a friend who has no jewelry background but wanted to take the class for fun, were estimating color grade by the last part of the class almost perfectly. In fact being off by one color grade was rare. Had we been using a set of master stones to grade with that were "somewhere in the first half of the color grade" we would most likely have always been off by at least one. Neil's post about how to create a set was very good and offered sound advice and I have forwarded the link to many people. Owning a couple of businesses that utilize a staff of attorneys I can tell you that you would never want to defend a position in court that was based on a set of CZs that the manufacturer claimed to be "somewhere" in the color grade. Thanks to the admins and moderators for what appears to be a great board. No such feelings here! We welcome any and all additions to threads, regardless of how old or "dead" they may appear. It's always interesting to revive an old topic when new or exciting information shows up. Reviving an old thread lets another new (non-gemologist) member ask a dumb question. I've always assumed that an E master for instance was in fact a D-E split. But reading the old posts it appears that's not the case? Are folks saying that an E master is merely somewhere at the top of the E range? If so, is there any logic to how far off of a true split grade can it be, and still be a master? Are folks saying that an E master is merely somewhere at the top of the E range? If so, is there any logic to how far off of a true split grade can it be, and still be a master? That's not a dumb question at all. It's just something that you haven't had a reason to know before. The fact that you're even aware of masterstones puts you far above many people working in sales in a chain jewlery store. Don't be so hard on yourself. The masterstones represent known depths of color, ranging from colorless through gradually deepening tints of yellow. Masterstones graded as whole grades, such as H or I, represent the least amount of color in that grade. For example, any diamond with less color than an H would have to be given a grade of G or above. A split-grade masterstone-such as H-I represents the color approximately halfway between the two grades. So an H-I split grade masterstone stands for the middle of the H-grade-a diamond that doesn't have as much color as an I, but has more than a straight grade H.
I personally don't like split grade stones, but that's only my opinion. BTW, thanks for the welcome gem-n00b. I was looking at the master stones up for sale by a poster (JeffinMonteray) in the gem equipment section and it got me thinking of a new, maybe silly, question. The poster links to photos of the equipment and stones. The stones are pictured with their original documentation from what looks like 1969 and 1970. I just wondered if those stones would be graded the same today by GIA and AGS? I expect the lab grading techniques/standards are basically the same today, maybe only lighting equipment has slightly changed? 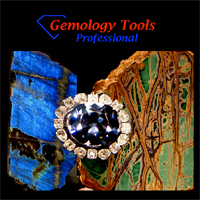 If you were to certify your own gem lab (like with AGA) with 38 year old master stones, would you ever need to have your set re-checked by a lab? The stones don't change of course but lab and industry standards do occasionally. Could be a silly question but there are older sets like this around. Hi MacGyver. Welcome to the forum and thank you for continuing this discussion. I still have much to learn about master stones and enjoy reading the tips and opinions. Who did you have as an instructor (or instructors) for your diamond grading lab class? I really enjoyed mine.